Media|producer ultimate is targeting high-end production and digital cinema. Glookast has a new ‘ultimate’ version of its media|producer ingest software to complement the existing standard version. Media|producer ultimate is targeting high-end production and digital cinema. 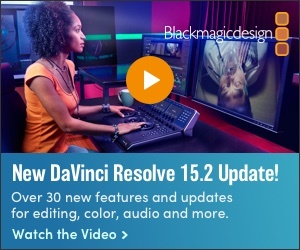 Alongside all the features of the standard version, the new edition includes support for High Frame Rate; support for codecs such as XOCN 16-bit, XAVC class 480, Red and ARRI; LUTs; Load balancing and Full ingest automation. Both versions will also shortly include graphics overlay (timecode burn-in and logo/watermark insertion – in beta), auto-sync of any combination of audio/video clips by timecode, the ability to discard data tracks when ingesting, support to XAVC-S files and the ability to generate a specific h.264 for use with Dalet MAM systems.